There is no division of race on the battlefield, only one line, unified. My father fought on that front line in the Philippine jungle in WWII. As a Philippine scout, he engaged in hand-to-hand combat, face to face against the enemy. He was captured by the Japanese, along with 75,000 other Filipino and American soldiers, on the island of Luzon in the Philippines. The Japanese forced them to march sixty-five miles from Bataan to Manila in the infamous Bataan Death March. This march is little known outside the history books, yet it is one of the pivotal points in WWII in keeping the Pacific secure from the Philippines to Australia. My father escaped from the Death March one night in the dark, by hiding in a rice paddy for twelve hours. His body laden with malaria, he walked sixty miles on foot back to his hometown province of Tarlac. He collapsed in front of his family’s nipa hut. There, he recovered from malaria and from the Japanese for two years until the liberation in 1945, when the US Army trucks rolled past his home in the province. He proudly waved the paper proving he fought as a Philippine Scout. The US forces welcomed him on the truck. He waved goodbye to his family, becoming a member of the US Army. Because of his sacrifice, and the atrocities he endured, he became a citizen in the land of promise and opportunity. Because of his sacrifice I was born as a citizen into this country—the country where he would proudly shout, “USA, USA!” during every Olympics; the country where he made me speak English, not my parents’ native Tagalog tongue; the country of Buicks and a house in the suburbs. My perception of communing at the table, my connection to music and song, my desire for the stories of my fathers, my sense of reverence and awe of an Almighty God is shaped by the nuances and rhythms of my Filipino heritage and by growing up in a diverse, multicultural military community where lines of color and heritage were not distinct. When as followers of Christ we live as a people united with one voice, focusing on the message of the gospel, our differences in race and heritage that message more beautiful. The diversity of the messengers empowers the gospel making it even more bold. We show that one man, Jesus Christ, could by his ministry and death on the cross, unite and empower all peoples with His message: God is Love. That message is not meant to conform us into one type of people, but to embrace us as one family. God uses different cultures to sing one message. That message takes on a bigger dimension, scope and beauty when we reflect on the wonder that one man could unite all people. In turn I hope these threads color the message I hope to live out daily, the message of the gospel: God is Love. 1 John 3:11: For this is the message that you heard from the beginning, that we should love one another. Last December, my entire extended family had the opportunity to live out this message in our family’s homeland, the Philippines. 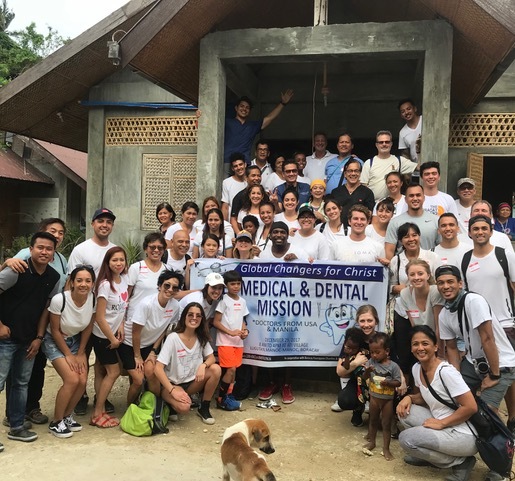 Sixty of us served in a Medical and Dental Outreach clinic through Global Changers for Christ on the island of Boracay. We served the families of the Ati village, a people outcast for the darkness of their skin. We brought them medical and dental care, medicines, and the gospel message through balloons and stories. We played basketball with them; we made repairs to their school. 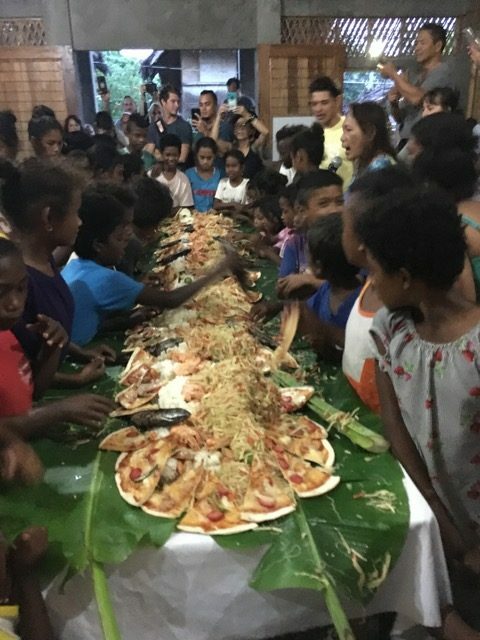 On New Year’s Eve, the children and their families waiting patiently, we spread out a traditional table before them, serving rice, fresh fish, prawns, vegetables, and as a treat, pizza. Laughing and smiling, they ate their meal in the traditional kamay style, off banana leaves. After the meal, my son turned on a playlist of American music. All of us—dark, white, brown, short, tall, rich, poor—did the cupid shuffle under sounds of rain pelleting the tin roof of the makeshift outdoor community center, welcoming in the New Year. Love that transcends all things. Decades ago, my father trod the soil near where our feet now dance. He fought on that soil for generations ahead of him, that they would have the life he dreamed of, the life he longed for, in a better country, a better place. The generations he fought for now reap the fruit of his embattled life. 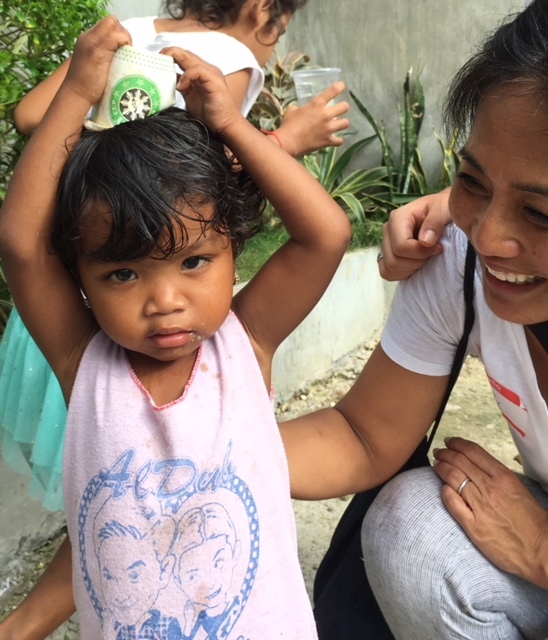 Now, because of the fruit of his labor, they in turn share the fruits of their labor: doctors, dentists, educators, in turn giving out to those in need, giving hope to those in need on the soil of his homeland. My father’s life reflects the message of the Gospel—that by Jesus’ blood, shed on the cross, we are all brought together as one family, unified in voice and purpose, no matter our race or heritage. Vina Mogg is daughter, mother of four, wife to one for 36 years, and grandma to her grandpuppy Milo. She is in love with God’s creation and loves to paint and watch the sunrise over Mt. Rainer in her homeland of the Pacific Northwest. 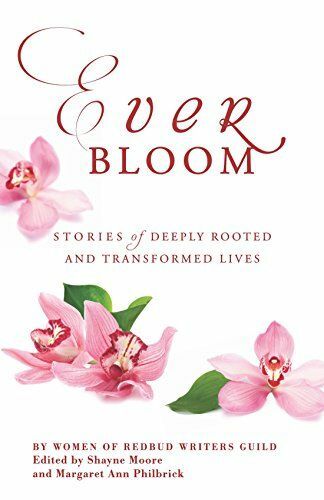 She is a caregiver and advocate for Alzheimers’, is a member of the Alz Author’s Association, and has an essay about caregiving recently published in The Wonder Years, 40 Women Over 40 on Aging, Faith, Beauty and Strength, edited by Leslie Leyland Fields. Follow her on her blog seaglasslife.com. 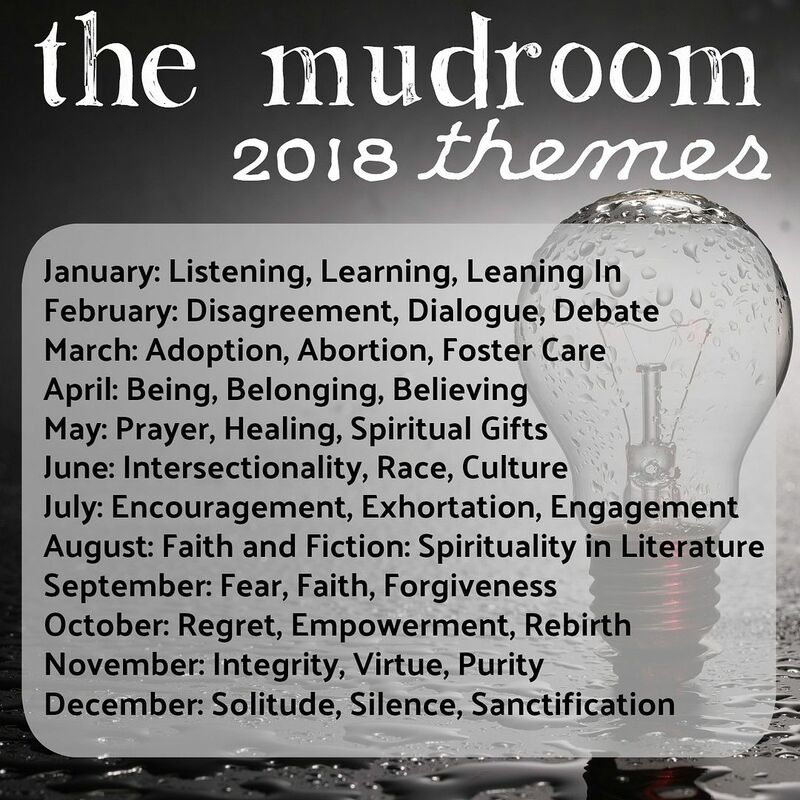 Four From The Night, Four From Anywhere Mothering in Black, White and Red Love in Shades of Multifaceted Men The Mudroom Turns 4! This entry was posted in Beauty, Community, Identity, Race, Race, Culture, Identity, unity and tagged Army, atrocities, Bataan Death March, battle, Boracay, diverse, diversity, Filipino, gospel, heritage, immigrant, legacy, Luzon, meal, military, multicultural, Pacific, Pacific war, patriotism, Phillippines, Race Culture Identity, service, soldier, Tagalog, united, veteran, World War 2, WWII. Bookmark the permalink.